The London Legacy Development Corporation (LLDC) will take on new planning functions for the Legacy Corporation area, including Queen Elizabeth Olympic Park, from 1 October. From next month, the LLDC will become the local planning authority for the Queen Elizabeth Olympic Park and adjoining areas in Tower Hamlets, Waltham Forest, Hackney and Newham. Its aim is to secure high-quality sustainable development in the area, including the Olympic Park, which is currently being transformed for reopening from July 2013 and will include event spaces for 7,500 for a conference at the multi-use arena, 500 at the Aquatics Centre, 300 at the Arcelor Mittal Orbit, and 150 at the South Park Hub. The new planning policy and decisions team will be led by Vivienne Ramsey, currently director of the Olympic Delivery Authority’s (ODA) planning decisions team. Powers will include determining planning applications, appeals, enforcement and listed building consents. 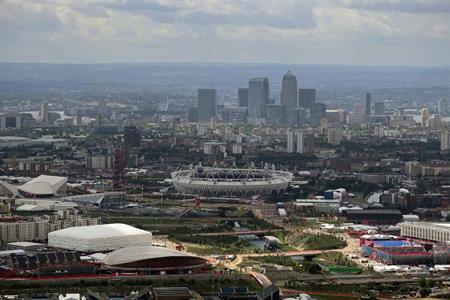 LLDC interim chief executive Dennis Hone said: "Taking on these functions and this team is the next logical step in ensuring that we are able to maximise London’s 2012 legacy through developing Queen Elizabeth Olympic Park and surrounding areas of east London. "Being a single point of contact for regeneration will better enable us to secure and promote high-quality sustainable development and investment in order to benefit local communities." The London Legacy Development Corporation (Planning Functions) Order 2012 is currently laid before Parliament and will come into force on 1 October. Any planning application relating to land within the LLDC planning area must be submitted to the LLDC rather than to the Olympic Delivery Authority (ODA), the London Thames Gateway Development Corporation, or the relevant borough council.